At the beginning of 2012, I was working with a personal trainer to improve my strength, technique and general fitness. Learning to use equipment like kettlebells, TRX, medicine balls, BOSU and cable machines kept my gym sessions interesting and it was great motivation to work with a trainer. This month I was also doing a ton of classes at the gym inclusing bellbox, spinning, Body Attack and Body Pump. This month continued much the same as January, with personal training and classes at the gym. I also tried out a free class at Sweaty Betty- Barrecore. This class involved lots of small pulsing movements incorporating ballet and pilates inspired exercises, I certainly felt it in my core and legs! March saw me attend my third Fitness Fiesta weekend. These weekenders offer a massive range of fitness classes- including Zumba, step, yoga, aqua aerobics, running club, Body Combat, street dance, cheerobics and fight klub. I managed 14 classes over the 3 day weekend, and as usual was feeling shattered by the end of it! In April, I ventured out for my first run since the previous September. I’ve always been a bit of a fair weather runner until this year, and tend to stick to the gym throughout the winter. I managed 5k in 30.54, which was not too bad considering it was my first run in 7 months. The Sunday morning following my birthday saw me planking, doing press-ups and burpees for almost 6 hours at the Armageddon event hosted by Richard Callender. It was a tough but fun day, being put through our paces by the no-nonsense instructors. Weymouth to Lulworth. The hike was tough in places with hailstones and steep inclines to contend with, but the views (and reaching the pub at the end) were amazing. Also in May, I attended Boutique Sport’s event with Nike Training Club. 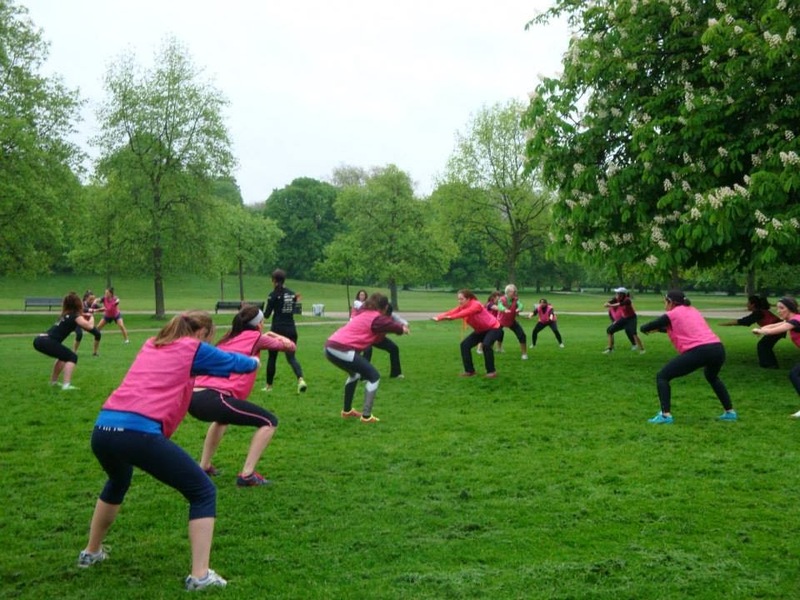 We spent a wet and muddy hour doing press-ups, squats, lunges and shuttle-runs around Kensington Gardens. I always enjoy a Boutique Sport event! This month was for trying new things- I began swimming lessons, tried bouldering and practised Bikram Yoga for the first time. I loved Bikram Yoga although it took me a while to adjust to the heat in the room, and took weekly classes at the Bikram North studio. I was a little nervous at my first bouldering experience, it seemed like a long way off the ground with no ropes or harness to rely on, but I managed to get about 8ft up the wall! 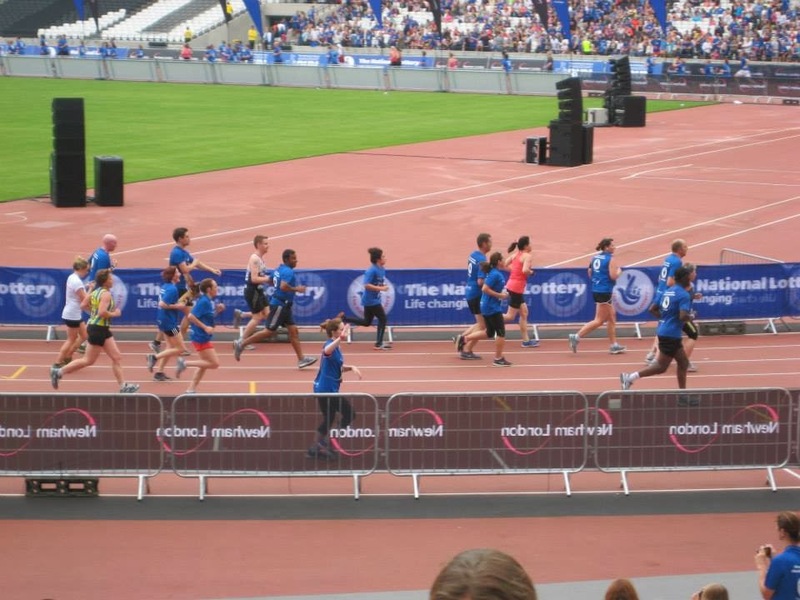 My highlight of my year in running was taking part in the National Lottery Anniversary Run in the Olympic Park. There was a great atmosphere in the stadium and it was fantastic running in the footsteps of the athletes from last summer. I completed the 5 mile run in 49.25 despite a very busy course and having to walk the first half-mile because of the overcrowding! 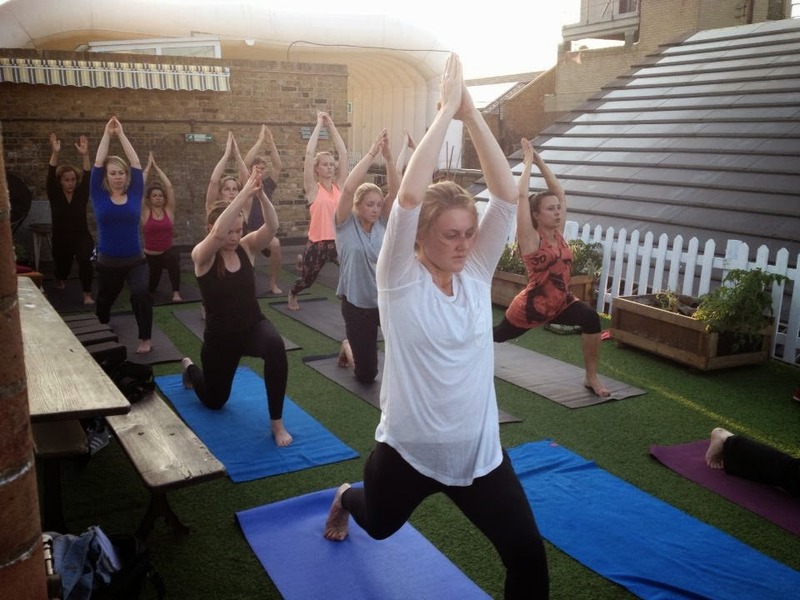 August was all about exercising in the outdoors- I enjoyed a rooftop yoga class with Fat Buddha yoga. Watching the sun set over East London while relaxing into a pigeon pose, was an amazing way to spend a summer’s evening. I also took my new swimming skills outside and tested out the water at Parliament Hill Lido. It was lovely swimming in the open air on a hot summers day, the pool was a bit chilly but I soon got used to it! Track running was another new experience for me this month, I went along to the Sweaty Speed sessions at Regent’s Park track to learn how to run faster and hopefully improve my times. Unfortunately I pulled a muscle in my thigh and had to leave the session early to hobble home! 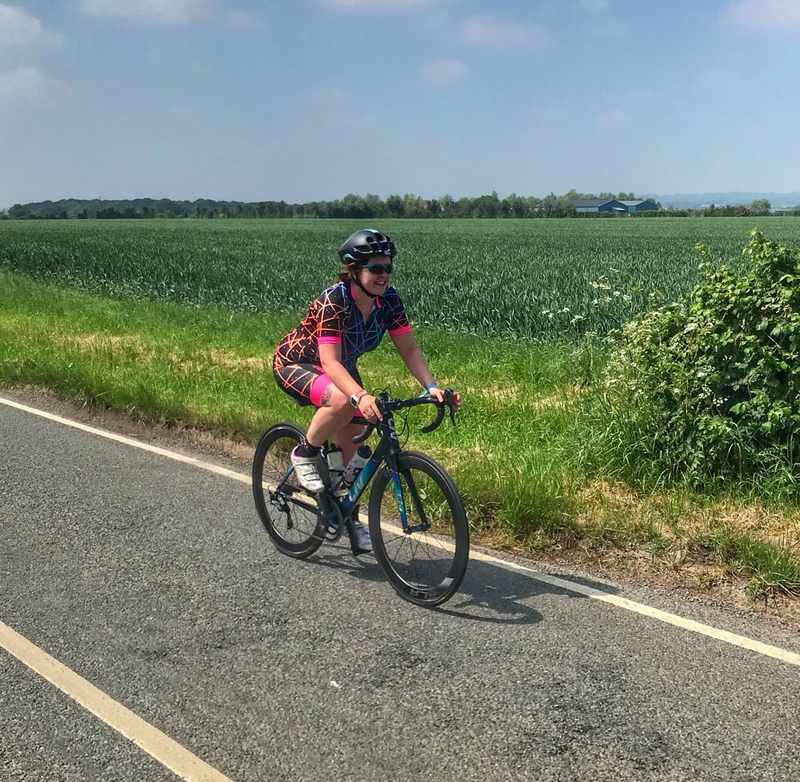 This month I went on holiday to Portugal for a week- I kept up my training and managed 3 hilly and hot runs, plus practising my swimming strokes. After getting back from Portugal, I joined up to a more local Bikram Yoga studio and kept up my practise in the hot room. 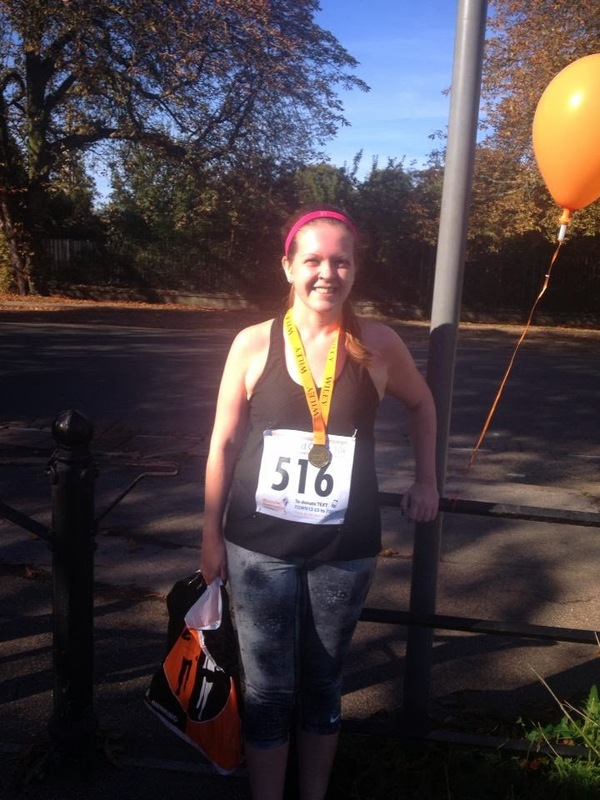 The Cambridge Town and Gown was the 3rd 10k race I’ve taken part in- and I was aiming for a new personal best. I spent a lovely weekend exploring Cambridge, and enjoyed a lovely scenic run along the river, taking 2 minutes of my previous PB. After returning home from Cambridge, I decided a half-marathon would be by next goal, signed up for my next race and started training. The Om Yoga Show also took place in October, where I tried out a few classes and stocked up on kit. In November, I tried out a few classes at Frame Shoreditch including rebounding and Frame Method. I love the variety of classes at Frame and hope to try out a few more in the New Year. This month also involved hula-hooping at the Fitness Freak event and the Running Show 10k, which I finished with a new personal best of 57.26. For my last race of the year, I joined the Team Naturally Run girls to dress as elves and run 10k around Clapham Common. Also, this month I have attempted (and failed) at achieving an 80 mile month- I’m a little disappointed at falling so short of my target but I’ve had a chesty cold that just won’t shift and it has meant missing my usual runs. Overall, it has been a great year for trying out new activities and improving my fitness. I’m looking forward to more challenges in 2014 including my first half-marathon.